After our sweaty search for lodgings on Isla Mujeres the previous day, Austin and I decided to make reservations ahead of time in Tulum, the next stop on our Mexican tour. Arriving in Tulum it became quickly obvious the reservation hadn’t been necessary – most of the places we passed were maybe at half occupancy. 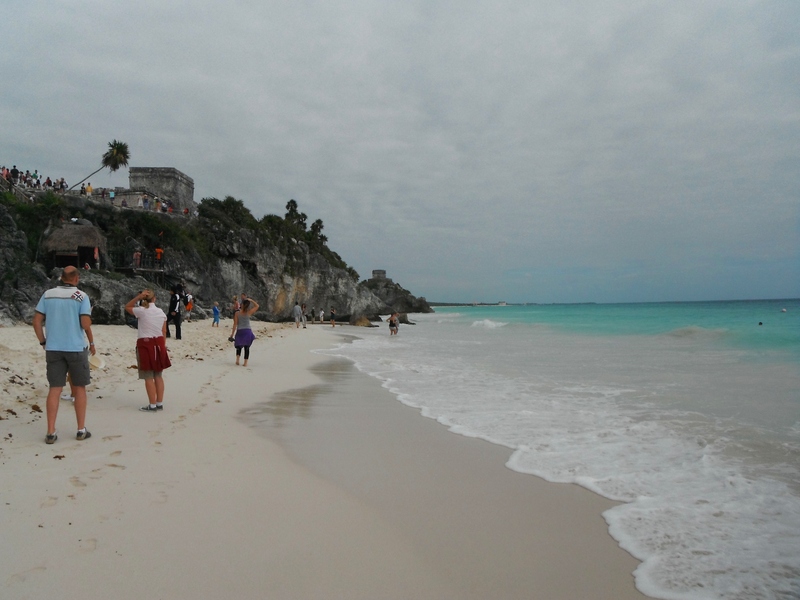 The crowds of Cancun and Isla Mujeres were long gone now – it was official, we had escaped the tourist season. 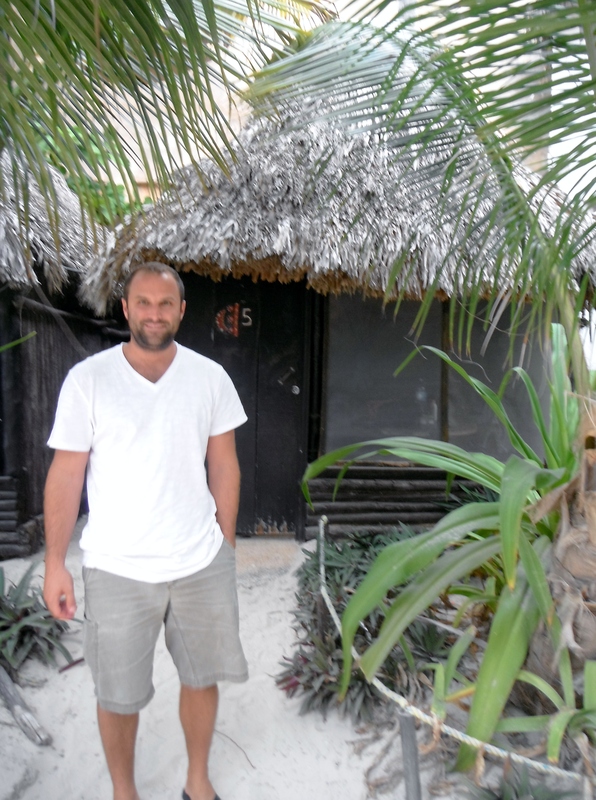 Still, I am happy we made a reservation, as the layout of Tulum isn’t ideal for weary wanderers. 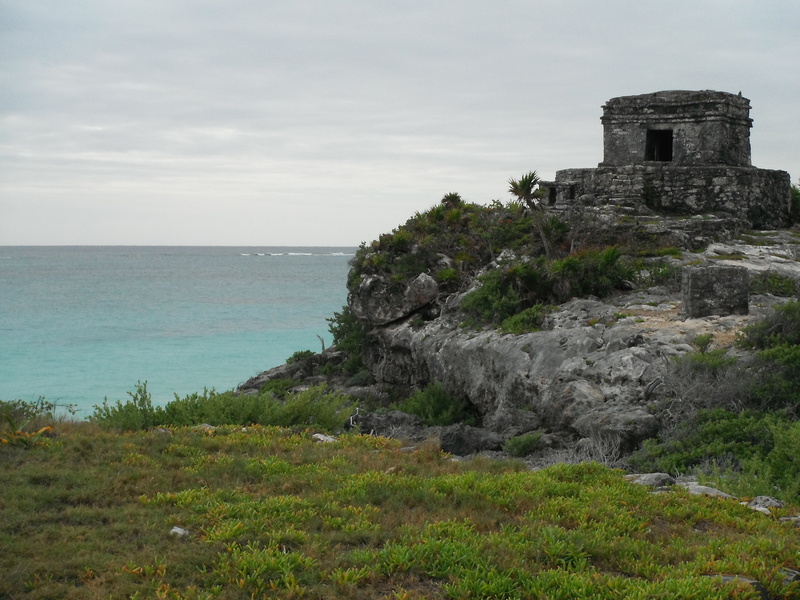 The area is divided into two sections – first there is the town of Tulum, cut in half by a busy highway and with little to do but eat, drink, and sleep. And then there is the beach of Tulum, closer to the ruins and with an ocean view and plenty of eating and sleeping options. In-between the two are a good few kilometers, so it’s nice to plan ahead of time to know exactly where you’re going as not to end up slogging between the possibilities. A and I opted for the beach, and booked the cheapest place we could find on Kayak.com. The result was kind of a funny place called Zahra. The hotel seemed a bit randomly put together, with two luxury-style glass windowed cabanas, 2 more rustic cabins, a series of regular rooms, and then off in a corner 4 little screen-windowed shacks with a shared bathroom clear on the other side of the hotel. 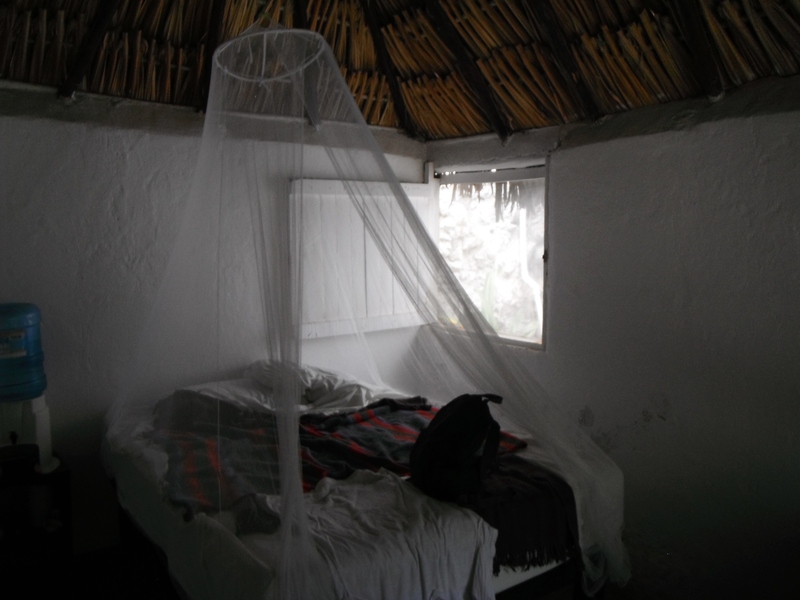 This last budget option (if you call US$38 a night budget) was the cheapest available room in Tulum, and so that’s where we ended up. To be fair the room was clean and even a little charming, it just wasn’t a lot for the money we paid. Feeling jipped on the price at the third stop in a row, I couldn’t help but look forward to getting out of the Yucatán and into more affordable areas. 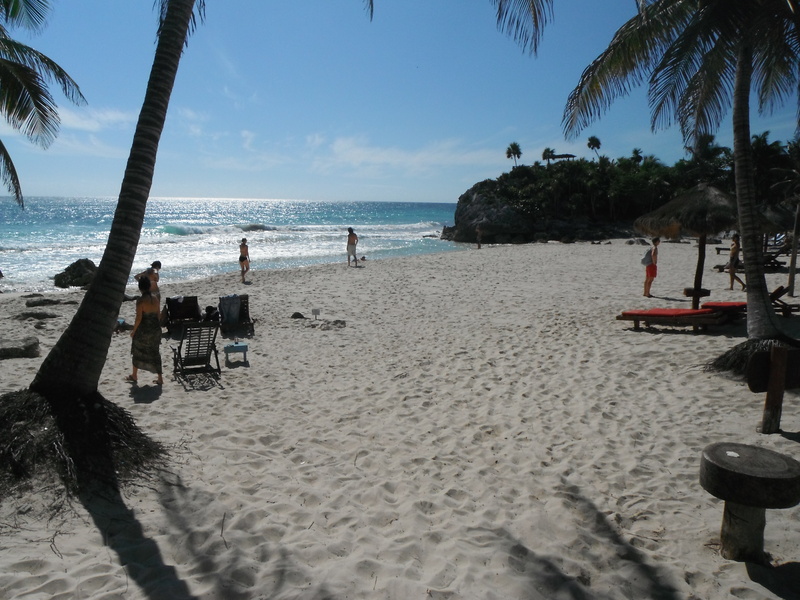 Tulum is a quiet stretch of white sand on the Caribbean portion of the Mexican coast. A and I walked almost the entire beach on our second afternoon and can testify to its calm, clear waters and fine-grained sand. This area seems to specialize in eco-tourism boutique hotels, many of which looked gorgeous from the beach but simply didn’t fall into our price range (though technically, sharing a bathroom is pretty eco-friendly right?). If you’re looking to get away from the crowds and have a more intimate resort experience in Mexico this may be the spot for you. 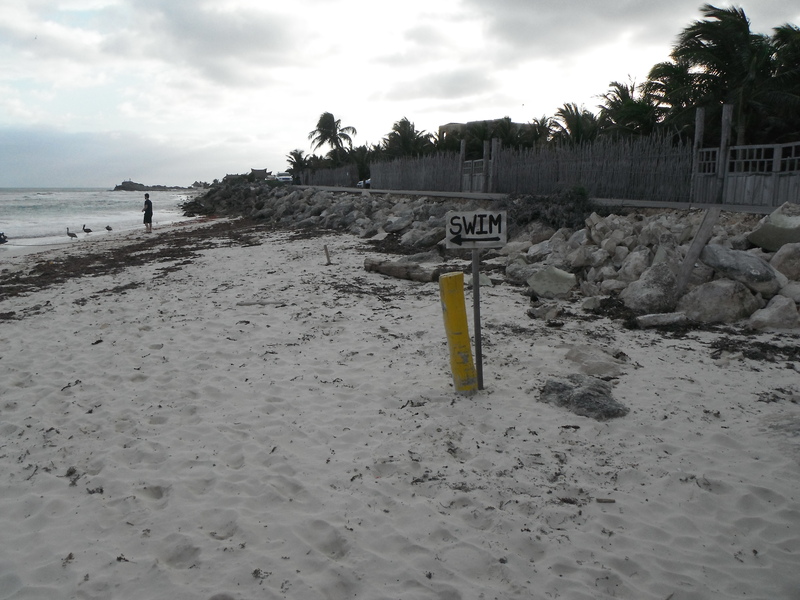 But like many other travelers to the area, we didn’t come to Tulum for the beach. 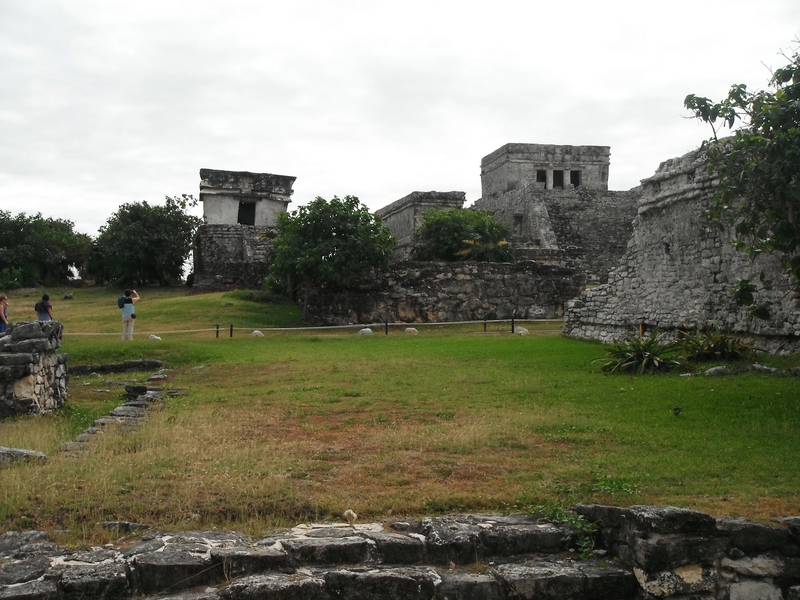 Nestled along the limestone cliffs north of the town are the ruins of a Mayan settlement named Zama. According to our guidebook, Zama translates to ‘dawn,’ and overlooking these temples by the sea it’s easy to imagine why the people here chose to name this place after the start of the day. Overlooking the second largest coral reef on earth, I very much sensed that I was at the start of the world, and even though we visited on a cloudy day, I can only imagine how it might feel to watch the sun rise from the depths of that blue, blue ocean. I’d be lying if I said the ruins at Tulum didn’t have at least a tiny Disney World-like vibe. We arrived fairly early in the morning and still the site was swamped with people. But not shelling out the extra cash for a tour actually turned out to be a blessing, as it was fairly easy to dodge those large groups following loyally behind a large-mouthed guide. I found every structure to be beautiful and even a little strange, but none was more impressive then El Castillo. 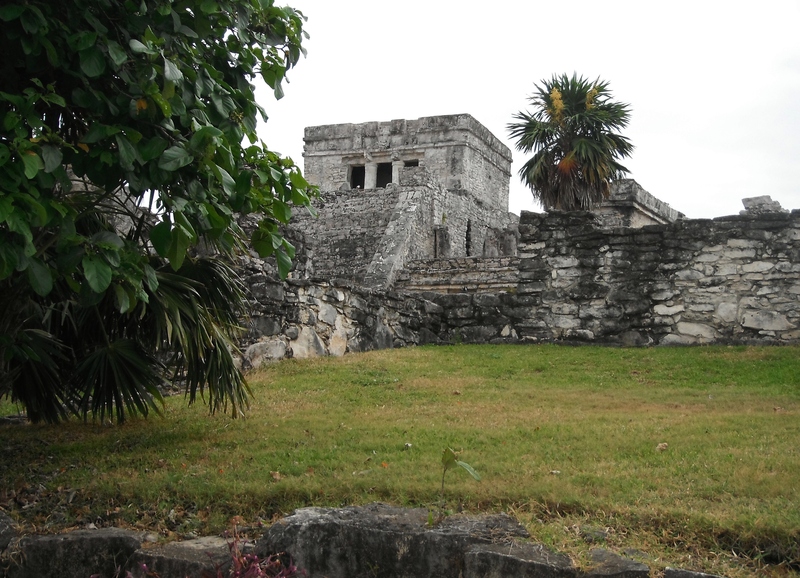 This building is the tallest of the complex, and was said to be used as a watchtower by the Mayans. Next to it sat a little lopsided temple, which the wayside explained had not leaned over time but was rather built that way as a result of its juxtaposition over an older site. I found its quirky placement next to the grandest building in town to be totally delightful, and quickly named it my favorite. 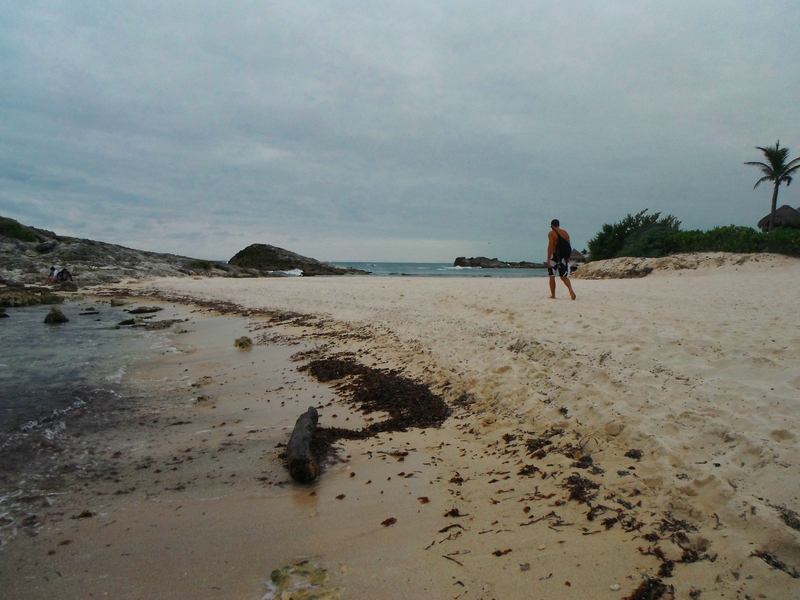 Beneath the ruins is a small, limestone-walled beach that at the time of our visit was crowded with tourists. We made the climb down the steep stairs only to discover that humans weren’t the only monsters crowding this strip. Blending in beautifully with the rocky walls were dozens of iguanas, watching over us silly visitors with glazed eyes like stone gargoyles looming over some ancient church. I couldn’t help but wonder whether they found us all amusing or disgusting, but I found them to be completely enchanting. After a second night in our overpriced little hut by the sea, Austin and I packed our bags and walked out to the beach for one last view of the Caribbean. We’d be heading inland now, and it was strange to think that after a month in the Dominican Republic and a week exploring the Mexican Caribbean we may not see that serene sea for a long time. I let the clear water kiss my toes as we exchanged a bittersweet goodbye on a sunny, breezy morning. On this day the water was especially calm. It was almost as if she was not at all angry to see me go! I guess she knew I’d be back. My family visited Cancun and these ruins when I was eight. 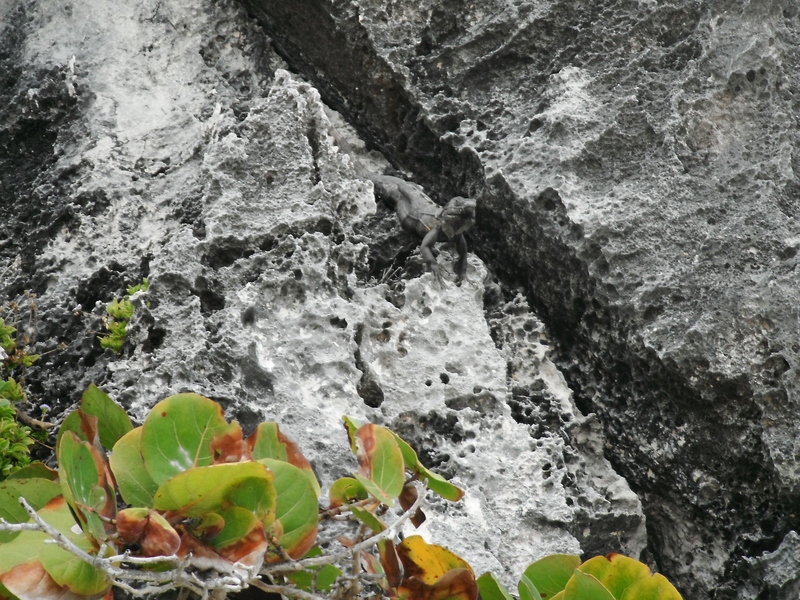 I remember the iguanas quite vividly, as well as the young boys who insisted on chasing them.